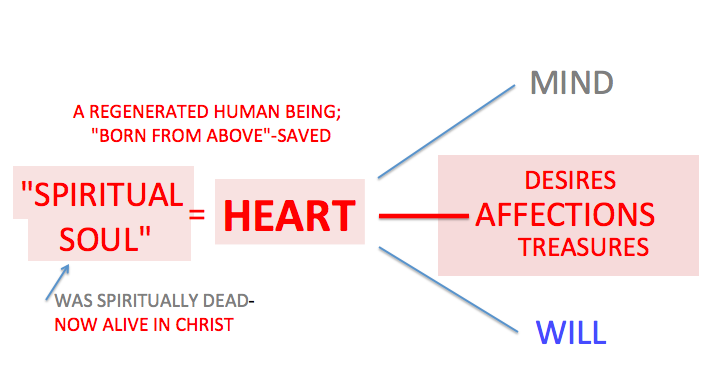 A way to visualize who we are in Christ-a “spiritual soul”-alive for all eternity! Before we were saved by God’s grace through faith, we were spiritually dead in trespasses and sins. We would be wise to ask God daily to tune our minds, our affections and our wills to His mind, affections and will.